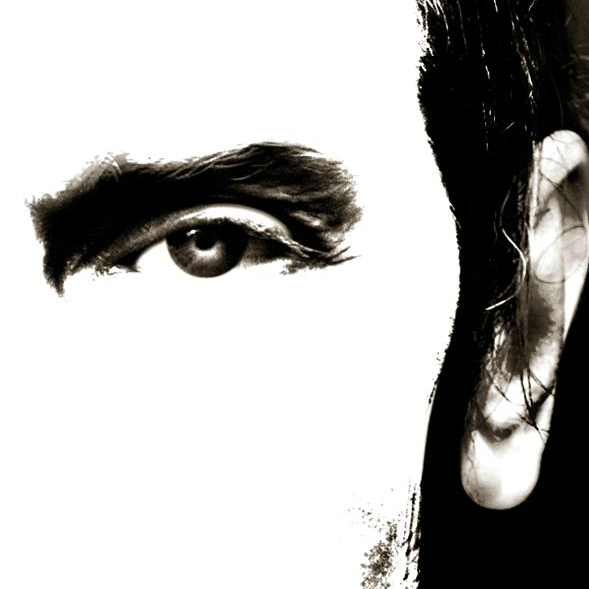 Peter Murphy may be on the road playing Bauhaus songs at the moment, but his next batch of new music won’t be far behind. 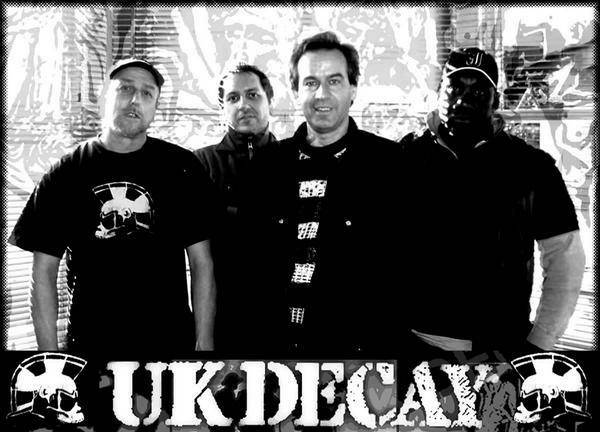 Originally formed in Luton in early 1979, UK Decay were leaders of the then emerging post-punk scene and are widely credited (or derided) with coining the term ‘Goth’ in a music press interview in Sounds music paper that subsequently inspired a movement. Part of a musical lineage that saw them emerge after Siouxsie & The Banshees and pre-fame Adam & The Ants alongside the likes of Bauhaus and Killing Joke, their single/EP releases and debut studio album For Madmen Only were substantial Independent Chart topping records , while they were also session regulars on John Peel’s Radio 1 show. Extensive touring in the UK and mainland Europe led to tours of North America – including memorable treks supporting Dead Kennedys and then headlining above a new LA punk scene containing Circle Jerks, Black Flag, DOA , Social Unrest , The Subhumans, etc – while current iconic names such as Dave Grohl, Trent Reznor and Tool have all cited UK Decay’s music and incendiary live performances as influences on their own careers. 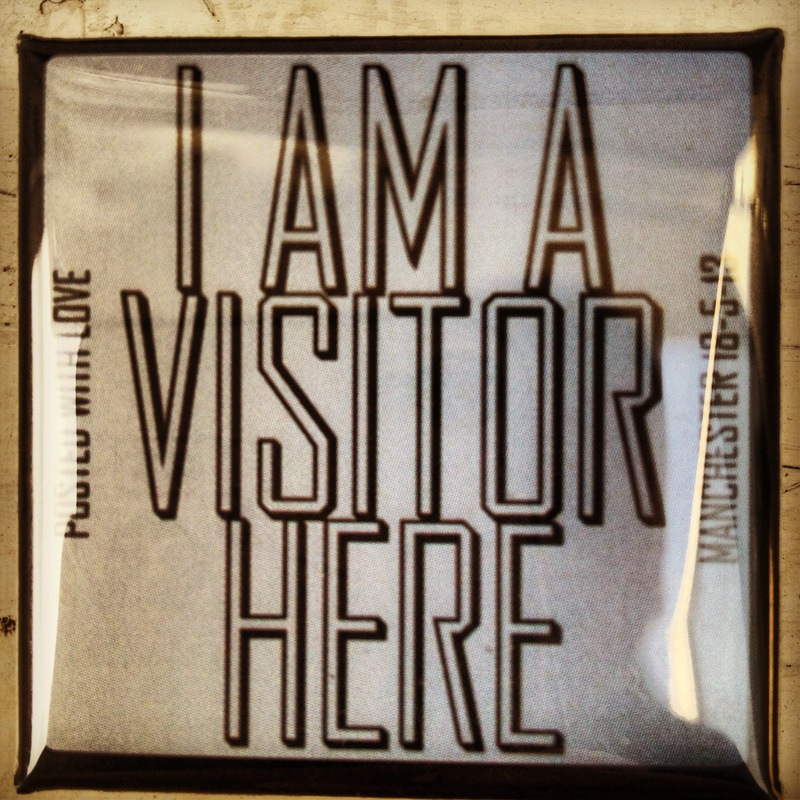 If you happened to be at the rather excellent Postal Service gig last Saturday (18th May 2013) at Manchester Academy 2, you may well have ended up with one of the 100 “I am a visitor here” badges (left) which my mate Jason made specially for the gig. 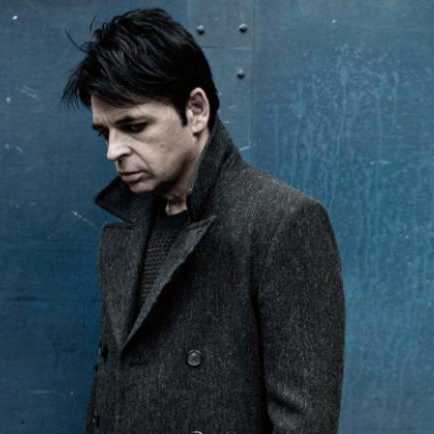 Hope you enjoyed the gig. …and thanks to Jason for the spectacular effort.